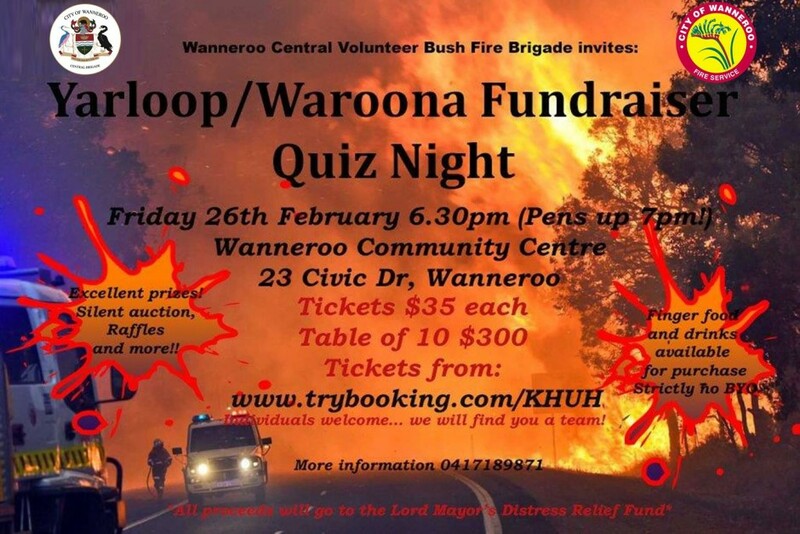 Stuck for something to do this Friday why not join a worthwhile cause, grab a few mates and join your fellow Two Rocks Firies down at the Wanneroo Community Centre 6:30pm. Tickets can be purchased online at www.trybooking.com/KHUH. There will be prizes, Silent Auction Raffles and more!